Why is ‘design’ synonymous with stylistic progress? The focus on the aesthetic development of design has served to make false distinctions between good and bad, progressive and reactionary, new and old. Other criteria - ranging from legibility and function to language and ecology - have tempered the search for style, yet overwhelming designers judge design in terms of its contribution to a legacy of formal invention. The imperative of stylistic renewal has progressed to such an extent that today a ‘look’ can run its course in a few months. Over the last decade there has been increasing anxiety among designers about the degree to which design is a style industry or fashion system. The way the cutting edge repeatedly becomes a favourite tool for commercial and corporate interests proves that radical style can be incorporated, recuperated and neutralised. The speed of this innovation/absorption cycle has accelerated, but no more so than in films, clothing or music. Designers respond to the phenomenon with a range of emotions from pleasure to disgust, yet embraced or despised, stylistic innovation is the framework within which design is judged. The succession of styles championed by annuals, competitions and design magazines is not the only way to view design. Another perspective sees design as a structural language made up of the typographic and pictorial conventions of publishing, advertising, journalism and entertainment. In contrast to the Modernist ideal of a universal, transhistorical language of vision (point, line, plane), the language of media is rooted in modes of communication that are culturally specific - they are, in fact, fundamental to modern western culture. Shifting the focus from style to structure loosens the grip of chronology, affording a glimpse of relationships between historically divergent practices. For instance, the device of framing a text to look like a book within a book recurs across the history of design. This structure dates back to manuscript and incunabula traditions in which a central text is framed by a commentary. While the structure may be recycled, as it was in a 1934 Nazi publication by Herbert Bayer or a 1993 catalogue for CalArts by Barbara Glauber and Somi Kim, it remains independent of its formal visualisation. In another example, artist Barbara Bloom’s book The Reign of Narcissism, the book-within-a-book format consists of a sequence of facsimile-style spreads resting within an otherwise traditional book. The shift in scale and the photographic depth of the pages force the viewer to see the page as an image. Another example uses the book-within-a-book structure for both its pictorial and conceptual value. The French philosopher Jacques Derrida exploits the spatial and typographic resources of the page to find ways of writing that are not reducible to verbal form. For his 1974 Glas, he drew on the intricate textual ‘glosses’ in medieval books and the framed commentary of the Talmud as models of non-linear, polyphonic texts. The Hebrew-Aramaic text of the Talmund is traditionally surrounded by interpretations, translations and notes. In Glas, Derrida places two texts next to one another on the same page: in the left column is the analysis of Hegel, while on the right he makes a series of observations on Genet through a web of puns and alliteration. These citations of the book-within-a-book are not ‘timeless’ or ‘universal’, for each bears the aesthetic marks of its time. They refer to a design convention, but are not stylistic quotations. Instead, a visual form is employed more for its structure than for its style. The ‘vernacular’ has become a familiar breeding ground of ideas for graphic designers, but here the closed loop of imitation and appropriation has become hackneyed and condescending, positioning the designer as a cultural tourist. A different relationship to historical sources involves the apprehension of such forms as conceptual models rather than as stock imagery. Such an approach borrows the principle behind an artefact rather than its surface manifestation. Principles are not proprietary in the same way as a designer’s stylistic signature: structure does not have an obvious historical starting point in the same way as stylistic forms do. Making use of a principle does not necessarily entail mimicry. All design has structure: in the case of books, for example, structure consists of the ‘software’ of the page (sequence, margins, running heads, body copy, footnotes) and the hardware of the physical object (cover, paper, folding, binding). Some design actively engages structure, making visible the otherwise transparent conventions. What is used automatically by one designer - a two-column grid, for example - may be used actively or critically by another who sets up an explicit relationship between the two columns. In his design for the 1989 book The Dutch Documentary Photobook after 1945, Fred Struving uses the left column for the Dutch text and the right for the English translation. The wide space between the two accommodates footnotes for both texts, which are set flush left and right respectively. Quotations also indent and outdent, so their ragged edges meet in the space between columns. Most of the photographic material runs across the bottom of the page. Countering tradition, the format brings materials usually placed in the margins to the centre and situates the illustrations in a position ordinarily reserved for notes. Such an approach-introspective, studious, subtle-investigates the traditions of the page and shows how the practice of design may constitute a form of research. While a structural view of design does not dictate an aesthetic programme, an interest in foregrounding structure often leads to a minimal approach that effaces the ‘hand’ of the designer. Experimental film-maker and artist Michael Snow’s 1975 book Cover to Cover eliminates all text, allowing the narrative to unfold through a sequence of photographs. Snow dramatises structure by allowing the turning of the page to signify the opening of a door or the passage of time, exploiting the momentary eclipse of vision that occurs as one page replaces the next. Snow’s book recalls Renaissance title pages that use architectural ‘entrances’ as the reader’s point of entry to a book. This approach to structure entails an allegiance to the resources of the medium, an investment in achieving maximum expressive potential from a given system. Thus while style and decoration are additive, structure comes from within the medium, generating form from the inside out. A literal example of this appeared in a recent edition of the New York Times. A pair of editorials about the Anti-Defamation League was typeset in a series of angled columns, yielding the star of David in positive and negative form. Both typography and the absence of typography were used to create an image coaxed from within the formal resources of the newspaper’s grid. This way of approaching design affinities with the artistic practice of Sol LeWitt and other ‘conceptual’ and ‘process’ artists of the 1960s and 1970s. LeWitt’s wall drawings could be executed/interpreted by anyone from a series of verbal descriptions. His famous statement that ‘The idea is the machine that makes art’ holds true for design that lets form unfold from structure. The fascinations of the Dadaists and Surrealists with ‘ready-made’ objects - the ordinary form placed in a different context and pressed into the service of a different function - is another important source for design. A very direct use of the ready-made is an art catalogue for a Dutch exhibition about Duchamp. The first half of Al(l) ready Made includes essays and colour photographs of the works of art featured in the exhibition, while the second half is a commercially produced diary for 1993. The book as a whole embraces the format and production techniques of the diary, including its faux leather-grain cover and gold-embossed lettering. Because structure is operative in all forms of textual production - because it is in essence public domain - many examples of a structuralist approach by ‘non-designers’ can be found. Wilbur Schramm’s 1959 book One Day in the World’s Press charts the global response to two major events that took place on 2 November 1956: the Soviet Army’s second invasion of Hungary and the attack on Egypt by British and French allied naval forces. One Day in the World’s Press provides a simultaneous view of the events from 14 newspapers from Europe, Africa, Asia and South America, which are translated into English and reconfigured as facsimile reproductions. Rather than simply producing an annotated translation, Schramm preserved the relationship between elements in the original layouts. Schramm’s method reveals the hierarchical structure of media, showing the grid of the newspaper to be an active agent in the construction of meaning. The Schramm project enacts a comparative analysis of ‘layout’ and the power of newspapers to configure reality. By viewing the refraction of these stories through different national perspectives, One Day in the World’s Press questions the notions of one ‘true’ account. Typologies - the repeated patterns of a genre - are at the core of any concern with structure in design. A project which takes repeated patterns as its subject is sociologist Erving Goffman’s 1979 book Gender Advertisements. Goffman takes an anthropological view of advertising and journalism, analysing the recurrence of poses, facial expressions and relationships between figures. Pages are divided into sections that group a series of poses: snuggling, sitting, finger-to-mouth. Goffman’s layout provides what the information designer Edward Tufte has called ‘small multiples’: a finely textured array of units that enables the eye to scan quickly for differences and similarities. Gender Advertisements precedes the works of artists such as Richard Prince and Barbara Kruger who have also looked to media as a reservoir of poses that speak about the social construction of gender and sexuality. While Goffman’s book is crudely designed, its author has devised a way of writing with pictures, reversing the traditional dominance of text in academic projects. Gender Advertisements presents the repeated structures of photographic language, but there is also a vast range of recurrent typographic and compositional structures in design which form the subject of many ‘how-to’ manuals. Don May’s 1942 book 101 Roughs: A Handbook of Advertising Layout describes its ambition as to ‘classify the physical appearance of printed advertisements into thirty-one patterns... very much like one would collect styles of lettering.’ In a series of pencil sketches, may provides an inventory of compositional possibilities, giving schematic illustrations of relationships between text and images. Some of May’s categories - ‘oblique’, ‘vertical’ or ‘centre axis’, for example - are straightforward: others, such as the ‘eclipse’, whereby the copy is positioned ‘in a panel over a portion of the illustration’, are more idiosyncratic. Such pragmatic books, many of them identified with the ‘low’ culture of advertising, have been dismissed by Modernist texts on design grounded in the more abstract notion of a ‘language of vision’ based on supposedly geometric principles. But commercial layout books from the 1920s to the 1950s are not simply amusing relics. Many of these books offer sophisticated typologies that propose a grammar of syntax of layout rather than prescribing a specific type of speech. Such books suggest that we should uncouple the concept of the ‘vernacular’ from notions of naiveté or, conversely, the idea that commercial layout was practised in a rigid, formulaic fashion. The importance of investigation of structure is that it divests design of its focus on the ‘signature’ of the designer and looks instead at design as a public language. Apart from to a few rarefied audiences, design is an anonymous activity. 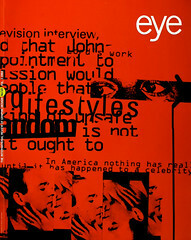 So rather than erase this feature by focusing on personalities with unique stylistic qualities, it is more telling to look at design as most people do: as outsiders, as a public that is the subject of mass media. The shift away from individual design personalities has a political dimension too, since a focus on structure recognises that ‘design’ pre-exists designers, that is comprised of the institutional, educational, governmental and commercial media that surround us. Post-structuralist writers such as Michel Foucault, Jacques Derrida, Roland Barthes and Jacques Lacan have critiqued the humanist ideal of the ‘individual’ as a unified, self-knowing subject. For instance, Foucault, has examined the way privacy, sexuality, hygiene and mental health are shaped by the controlling structure of schools, hospitals and factories. Foucault, like the others, has moved from the humanist subject as the authorial source of individuality to the social contexts that make up modern individuality. The recent incorporation of post-structuralist theory into design programmes and design journalism has tended to soften the anti-humanist dimension of many post-structuralists. Theory has been used as another way of grinding the same axe: deconstruction has turned into deconstructivism; a critical tool is turned into the name of a style. The post-structuralist project is critical of intuition, self-expression, originality and self-determination - notions contemporary design takes a face value. Looking at structure frees design from the grip of individuality and chronology (which both boil down to style) . The structural view reconfigures the formal, historical and conceptual terrain of graphic design. Instead of locating an example of design along a stylistic continuum, a structuralist view slices the pie differently: looking at design as a cross-section of the vast media of text and image production. Looking at structure - typographic, compositional, institutional or historical - complicates the rules of the game because structure is about the rules of the game.